Avenged Sevenfold News: This Means War will be a live video? This Means War will be a live video? A few days ago M.Shadows answered questions from fans on Hail To The King: Deathbat forum, including This Means War video. 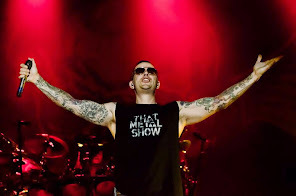 M.Shadows explained why this output delay of the video (read here), has been scrapped because it was too boring. Responding to another fan (you can read here) should be a live video. What do you think? Let us know in the comments.